Lively bidding, so be prepared to raise your paw and don’t forget to bring $$$ as psychedelic spirits will be served by GRRI-NJ to benefit rescue. Alliance of Therapy Dogs is a national therapy dog registry with 14,000+ members in the US, Puerto Rico, the U.S. Territories and Canada. It is a goal of ATD to provide registration, support, and insurance for members who are involved in volunteer animal assisted activities. There’s A Whole Lotta Jumpin’ Goin’ On!! Whether you’re into bar-hopping with Disney or catching disc-o fever with her brother Riff, this is the place to be! 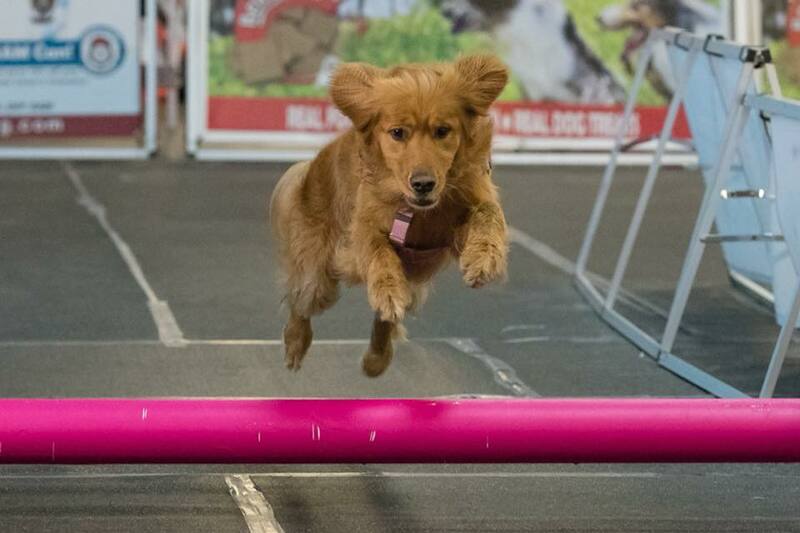 Come see what agility and disc dog are all about, then try it with your own dog in our hands-on workshops. Bring happy dogs, treats and a favorite toy, and a Golden Joie de vivre! We guarantee fun…and always some of the best photo ops. Trick Dog Fun with Disney and Riff-Raff! 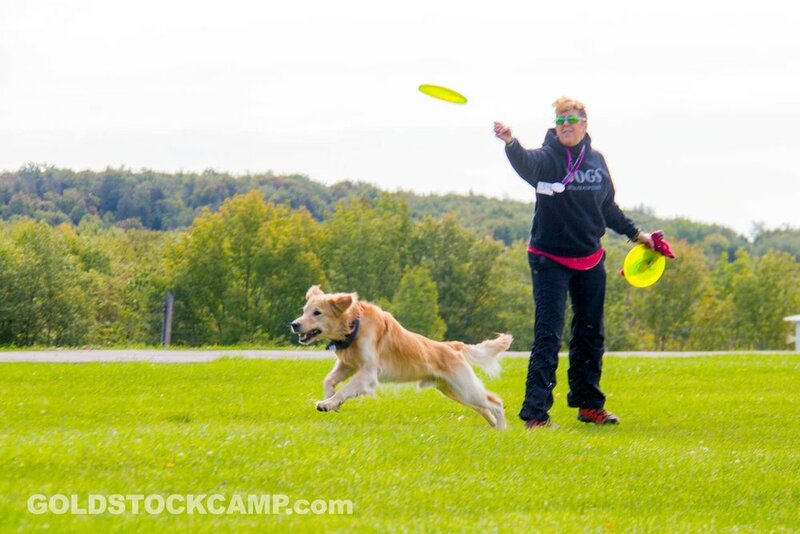 Tricks are a great way to work and bond with your pup, as well as keep them young and active. Chris will help you learn some moves to either get your title at Goldstock, or to practice for the future. Not interested in titles? Join us for some fun learning with your dog. And as always, the agility equipment will be available for tricks, practice and play. Bring happy dogs, treats and a favorite toy, and a GoldenJoie de vivre! We guarantee fun...and always some of the best photo ops. SET UP ONLY, NO BIDDING!